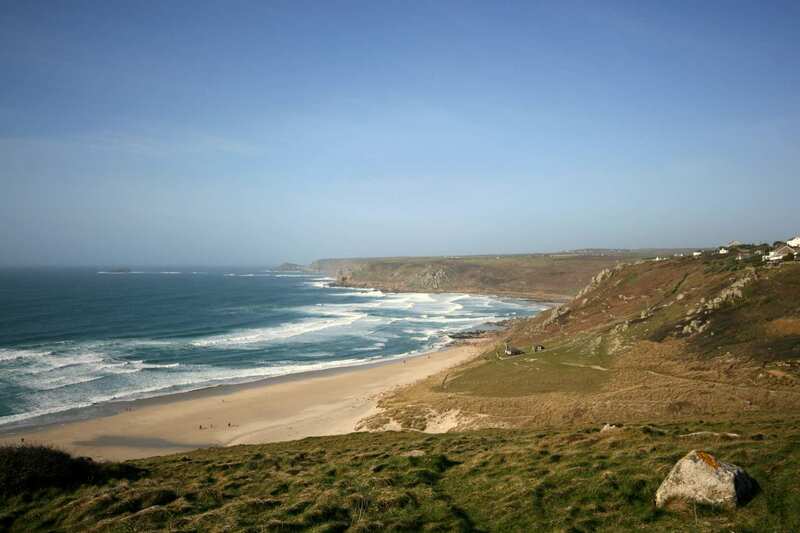 Walk the South West Coast Path through western Cornwall on a self-guided holiday over 3-6 days. Accommodation, luggage transfer and custom holiday pack included. 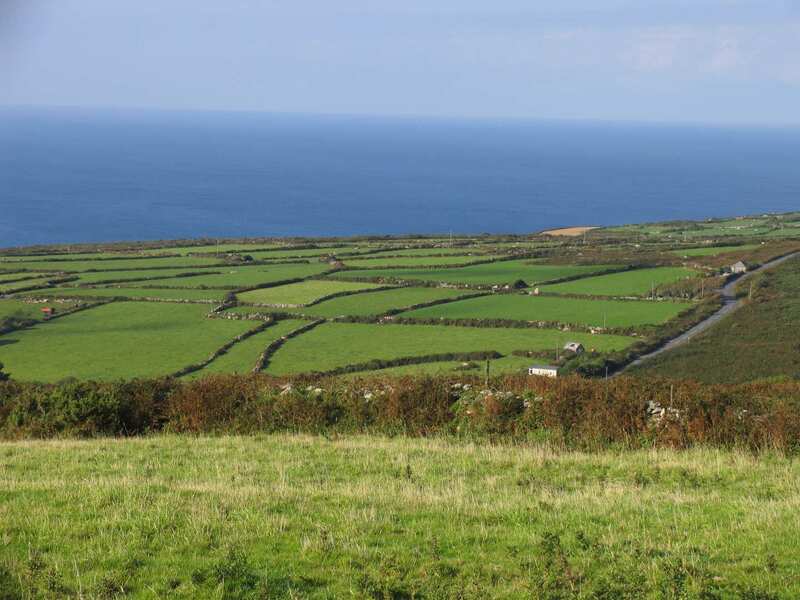 A walking holiday from St Ives to Penzance around the most western point of England. Rugged granite cliffs dotted with the ruins of old tin mines, carpeted in spring with wild flowers and in summer with heather and gorse in purple and gold. 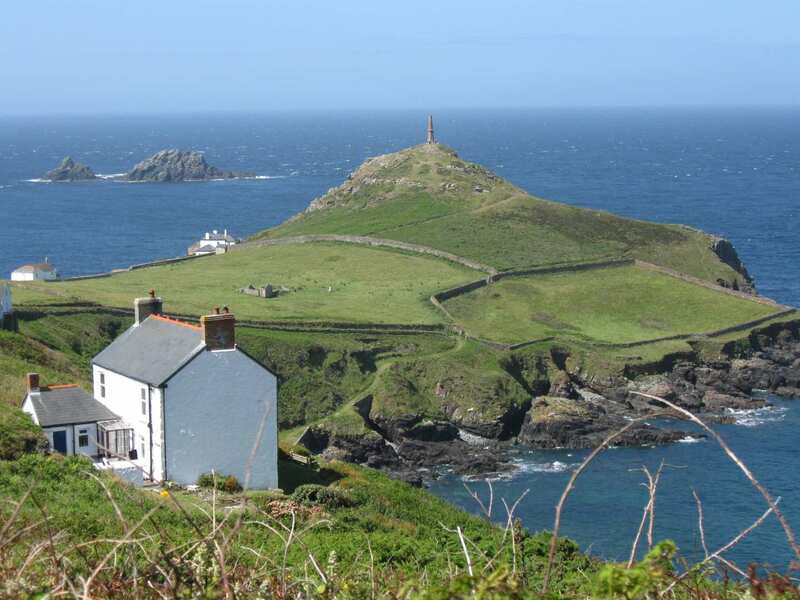 This is the gorgeous scenery you’ll enjoy as you walk the coastline of Land’s End Peninsula. Quoits, standing stones, stone circles, and other mysterious remains litter the landscape, embodying its deep connection to ancient history. With picturesque St Ives, Mousehole, Lamorna and Sennen Cove en route, this is a truly diverse and engaging walk. 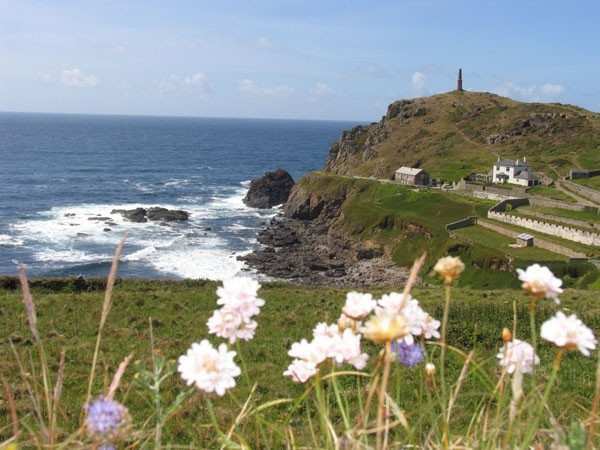 Why not try the Land's End Round, which combines the Far West of Cornwall trail with St Michael's Way to create a circular route along the Land's End Peninsula? Click here to find out more. Enjoying spectacular views from Land’s End, the extreme westerly point of England. 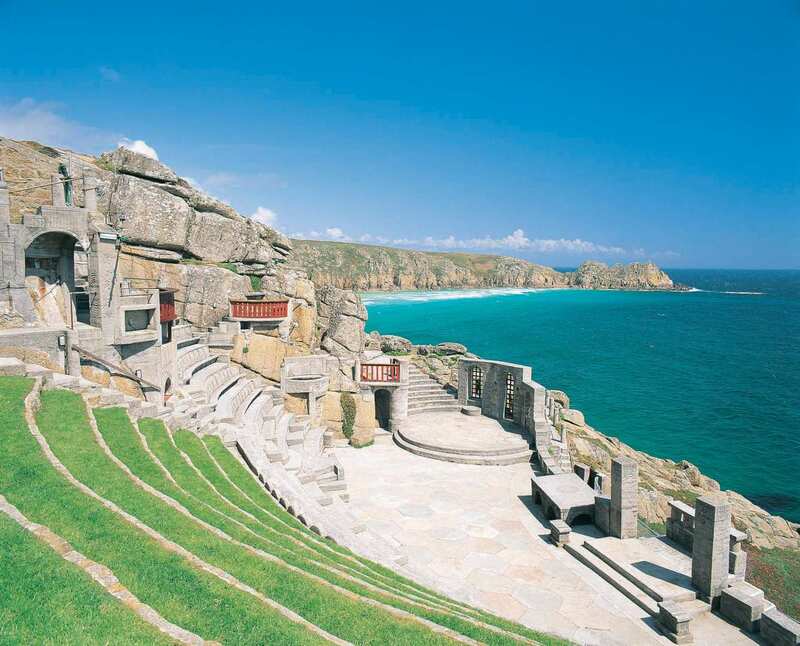 Visiting the open air Minack Theatre, which perches spectacularly on the cliffs above Porthcurno Bay. Walking through an Area of Outstanding Natural Beauty as you pass through the cove at Lamorna. An extra night gives you the chance to explore some of the villages on the path, catch up with writing postcards or just relax. 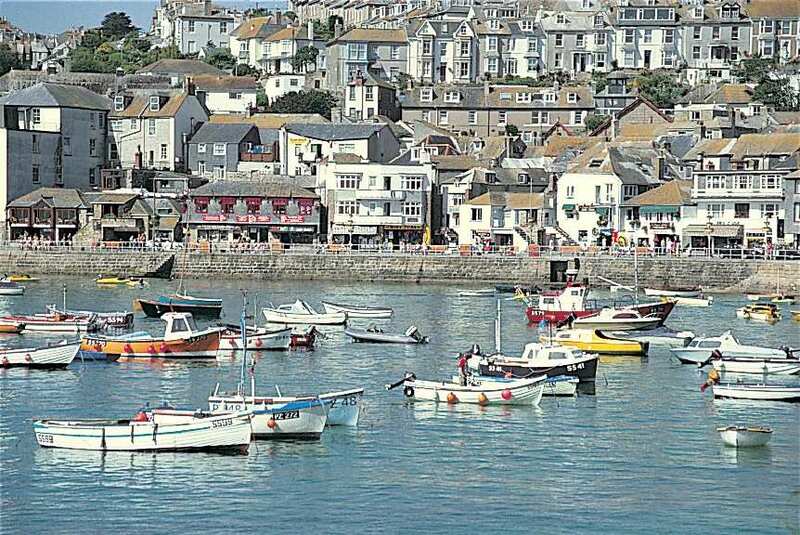 The delightful town of St Ives with its narrow streets and alleyways that invite exploration, is a good choice for an extra night. It has many fascinating museums, galleries and beautiful beaches. 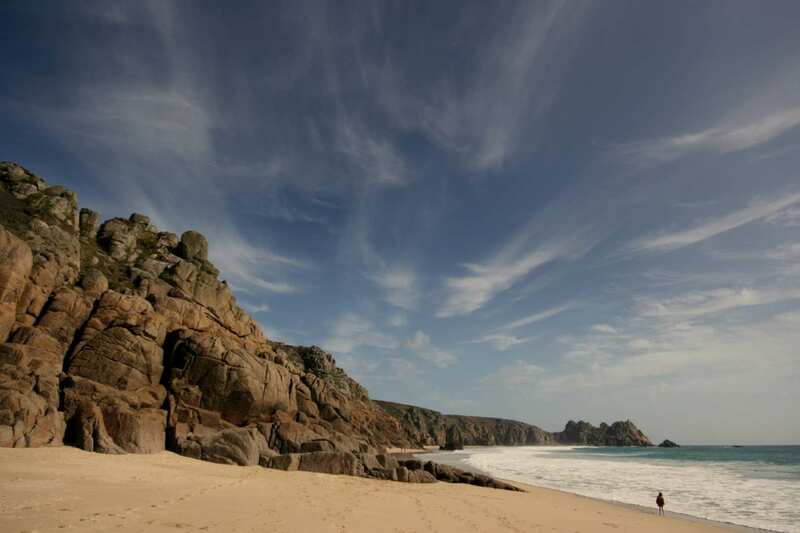 An extra night in Porthcurno would enable you to see a play at the spectacular open-air Minack Theatre while Penzance, with its interesting museum, fine old buildings and art galleries, is also a good choice for a rest day. On reaching Penzance at the end of your holiday, consider adding the St Michael's Way extension. This wonderful trail is the only footpath in Britain to have been designated a European Cultural Route. It can be walked in just a day and leads you to St Ives, creating a circular route. By Air - The most convenient major city and international airports are Exeter, Newquay and Bristol. By Rail - There is a rail station at the start of the trail (St Ives) and at the end of the trail (Penzance). 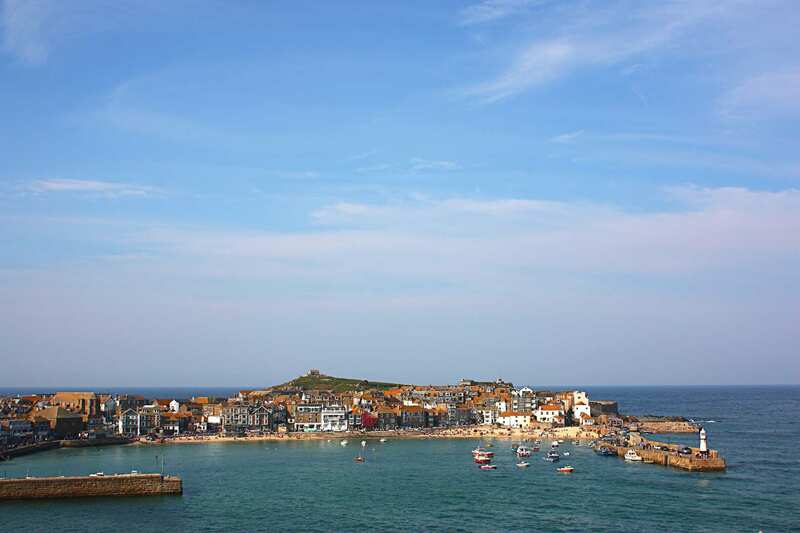 By Bus - Various bus services run to St Ives and from Penzance. From London - Trains run from London Paddington station to St Ives. Return To The Start - The easiest way to return to the start of the trail is to catch a bus from Penzance to St Ives.